As part of a University of Nottingham delegation led by Professor Michele Clarke and linking up with a Nottingham City delegation, I visited New Delhi and Chandigarh last week. Our Country Representative-Varrtika Mudaliar formed a key part of our group. The purpose of the visit was to get closer to the Newton-Bhabha funding calls and to spend time in Chandigarh with the institutions we are developing strong links with. It was very informative to meet with the High Commission and British Council who are responsible for the flagship Newton-Bhabha Fund. It gave me an insight in to how we can best prepare ourselves as an institution and the key thematic areas to focus upon. 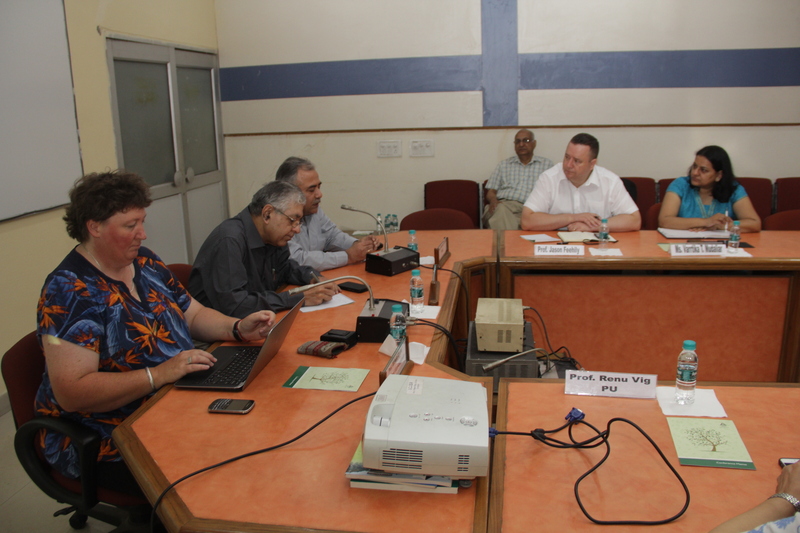 We held good discussions with our hosts, Panjab University and the wider Chandigarh Region Innovation and Knowledge Cluster (CRICKC). 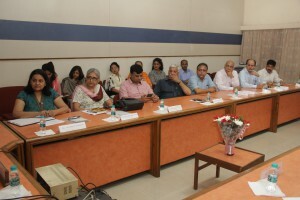 This included visits to the Postgraduate Institute of Medical Education and Research (PGIMER) Chandigarh and PEC University of Technology. On Thursday, a round table discussion and workshop was held at Panjab University with a focus upon Smart Cities. Chandigarh is likely to be in the first 20 Indian cities becoming Smart under Prime Minister N. Modi’s ‘Smart Cities Mission’. Overall, a great week. We were really well looked after and have identified key areas of collaboration between Chandigarh and Nottingham.